Immac. home,large lot,slab granite,stainless steel,hdwd flrs in entry,hall &kitchen,tile floors in baths,lots of upgrades. This home features on of the largest, flat lots in The Hearth. Located on a quiet cul-de-sac, this home is a perfect family home, in a great family neighborhood. Every upgrade imagineable has been included in this home. The large, unfinished basement awaits your designer touches. 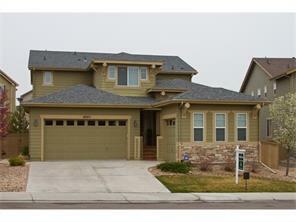 This home is also served by some of Douglas Counties best schools.